An attendee checks out a new iPhone X during an Apple launch event in Cupertino, California, U.S. September 12, 2017. Apple Inc quashed any concern of muted demand for its iPhone X on Friday, saying pre-orders for the 10th anniversary phone were “off the charts”. The company’s shares, which have fallen steadily since it announced in early September it would launch two iPhones within two months, rose nearly 3 percent in response. Pre-orders for the much-anticipated 10th anniversary phone started from 12.01 am PT (0701 GMT) on Friday. “We can see from the initial response, customer demand is off the charts,” an Apple spokeswoman told Reuters. The company’s website showed delivery times pushed out to five to six weeks for the phone, compared to an initial plan of Nov. 3. IPhone X’s launch follows weeks of concerns among analysts about the production of the new phone, which for the first time includes new facial identification software to replace the fingerprint used on previous phones. Analysts have cautioned that production of the phone was below target, due to difficulties in producing the TrueDepth camera system, which houses sophisticated cameras and sensors making it possible to unlock the phone using Face ID. Wireless carriers in the United States and Canada have reported slow third-quarter customer upgrades. While some expect a pickup after the iPhone X goes on sale in November, others cautioned that phone’s $999 price tag could weigh on demand. Major promotions on the iPhone X from U.S. carriers have yet to materialize, and in some cases, the offers have been even less generous than what was available for the iPhone 8, said Walter Piecyk, an analyst at BTIG in a research note on Thursday. He noted that Sprint Corp’s iPhone X promotion of $350 in savings for trading in an eligible device was the most aggressive but still lower than what it offered for last year’s launch of the iPhone 7. Shares of Apple were up 2.9 percent at $161.96 in morning trading in New York. 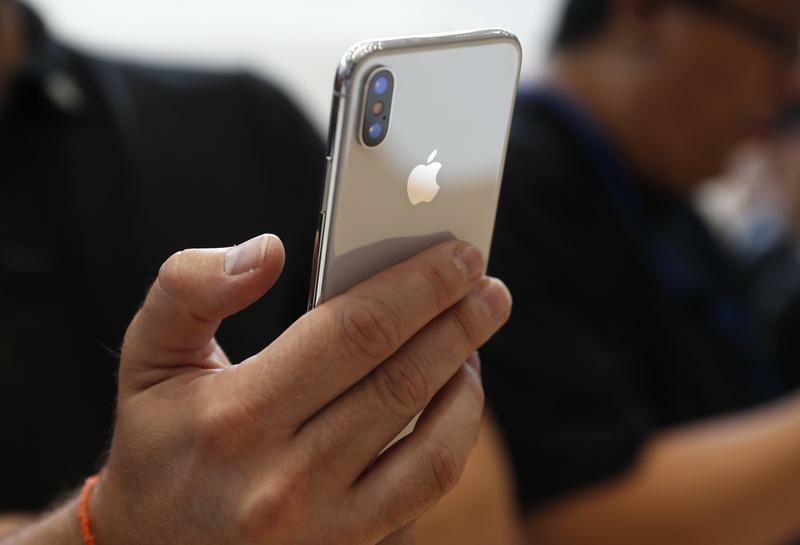 Apple Inc quashed any concern of muted demand for its iPhone X on Friday, saying pre-orders for the 10th anniversary phone were “off the charts”. The company’s shares, which have fallen steadily since it announced in early September it would launch two iPhones within two months, rose nearly 3 percent in response.